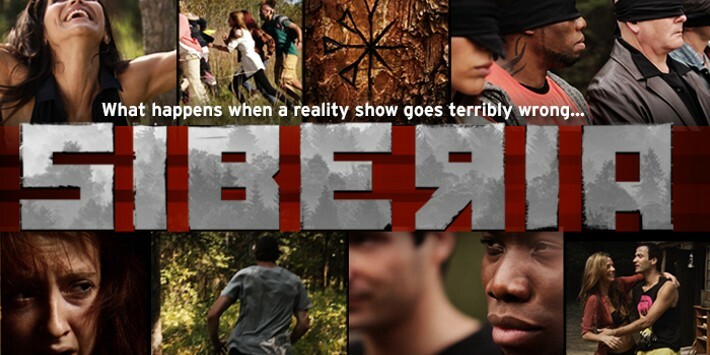 NBC’s mock-reality “Lost meets Survivor” series Siberia had its debut last night and didn’t make much noise in the Nielsens. The series premiere pulled a 1.1 rating in the 18-49 demographic with 3.2 million total viewers, which aren’t disastrous numbers for a Summer series but which also doesn’t give the show much leeway. If this one were to hold onto that 1.1 rating for the rest of its Summer run (or even improve on those numbers), it might stand a chance at a renewal. But more likely than not its numbers will follow the typical trend downward over the coming weeks which will result in this being the show’s only season. I’m sure this was planned as a limited run “event” series to begin with and it has a conclusion built in to its Season 1 finale (especially considering its mock-reality series format), but I’m also sure they had plans in place for a continuation if it does well in the ratings. That looks unlikely at this point, but we will have to track it over the coming weeks to know for sure. At least it’s not in danger of getting yanked from the schedule at this point. In the same hour over on CBS, Under the Dome dropped from the stellar premiere numbers it pulled last week, but still delivered very strong ratings for a Summer series. It posted a 2.8 score in the 18-49 demo with 11.5 million total viewers, which would be more than enough to keep a show going during the regular season. This show may still drop more over the coming weeks, but it would have to fall pretty darn far for CBS to consider not bringing it back for a second season. Most of the Summer cable shows remained relatively steady over this last week. HBO’s True Blood held even with a 2.2 rating in the 18-49 demo and just under four million total viewers as did TNT’s Falling Skies which pulled a 1.1 rating with 3.2 million total viewers. And coming as no surprise, that series received a 4th season renewal announcement today. Continuum pulled another 0.4 rating on Syfy on Friday with 1.2 million total viewers, though Futurama on Comedy Central slipped a couple of ticks to a 0.6 rating last Wednesday. As for the Friday/Saturday burn-off shows, Cult returned to air its final episodes beginning last Friday a pulled what I believe may be among the lowest numbers ever for a scripted series on the broadcast networks (why does this show get no love?). Two episodes ran with each pulling a 0.1 rating and the second hour dropped to only 440k total viewers. On Saturday, NBC’s Do No Harm returned but only managed to scrape up a 0.3 rating with 1.8 million total viewers. 666 Park Ave can consider it the winner among the cast-offs as it managed to rise all the way to a 0.5 rating with 2.1 million total viewers. Surely that has ABC reconsidering their decision to cancel the show (not!). And Zero Hour threw in its two cents as well (which is about what sponsors paid for add time), pulling a 0.3 rating with 2.4 million total viewers. This column will continue to run on Tuesdays (and sometimes Wednesdays) throughout the Summer in order to catch the numbers for the Sunday cable shows and the preliminaries for Under the Dome and Siberia. And keep an eye on the Cancellation Watch Twitter Site for quick updates on the ratings numbers, and you can see the full schedule of Summer science fiction and fantasy shows at this link.